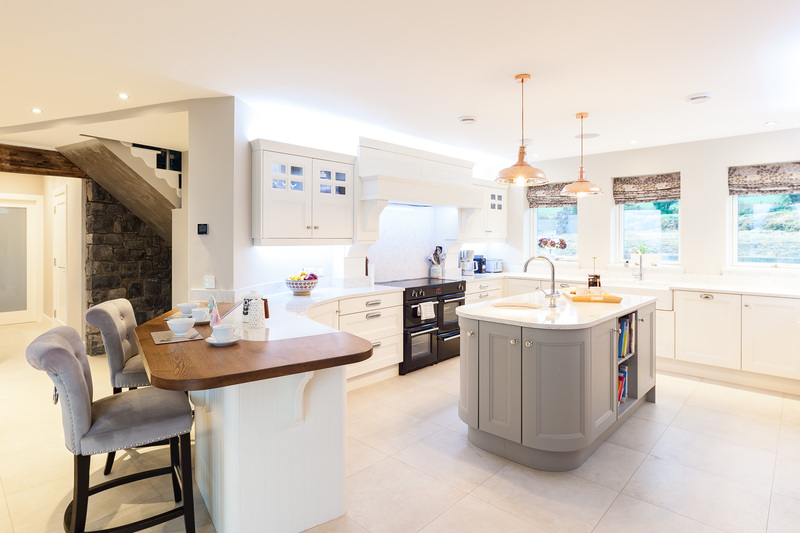 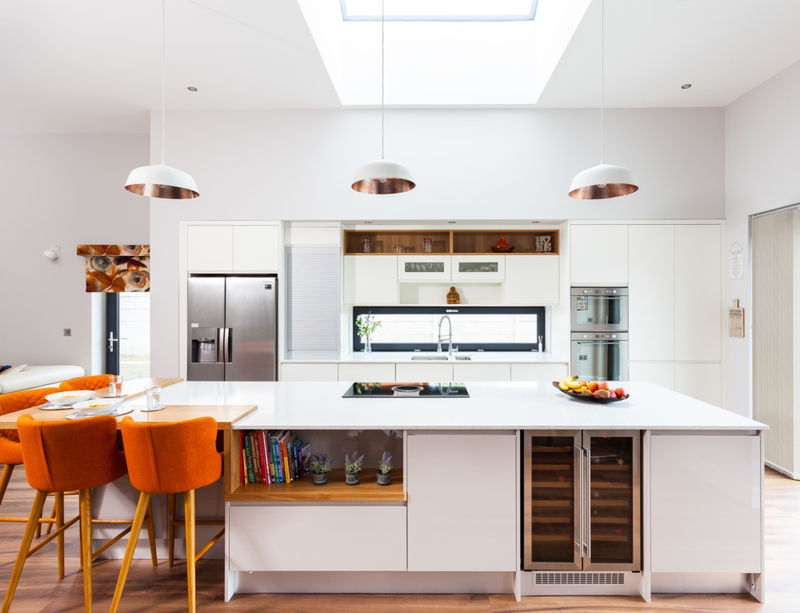 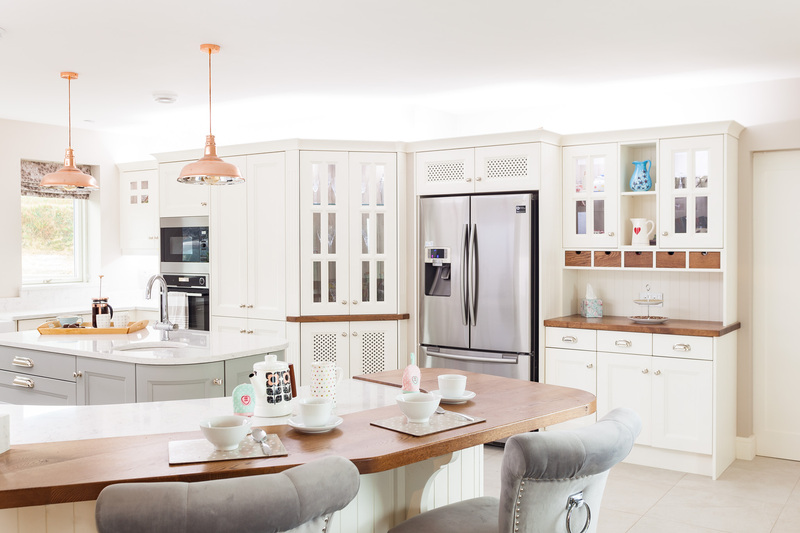 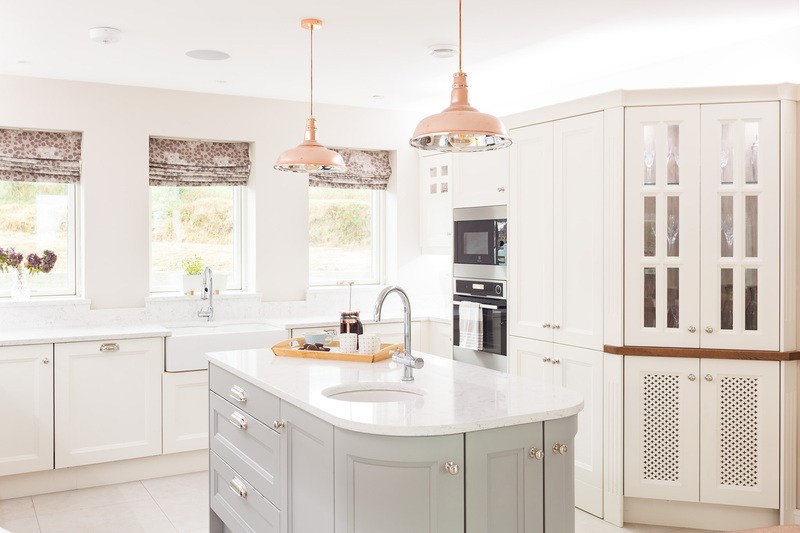 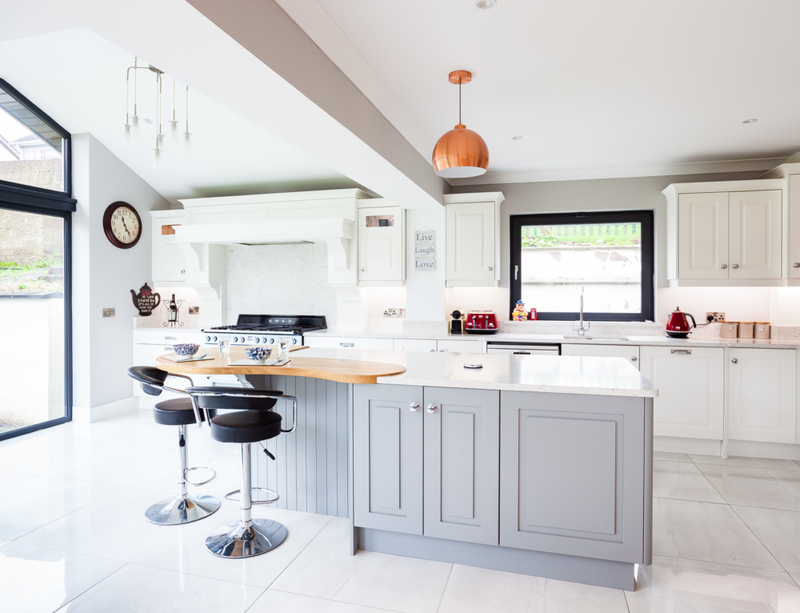 After seeing the gorgeous photos we got back from our photographer, this kitchen was an easy choice for our December Kitchen of the Month. 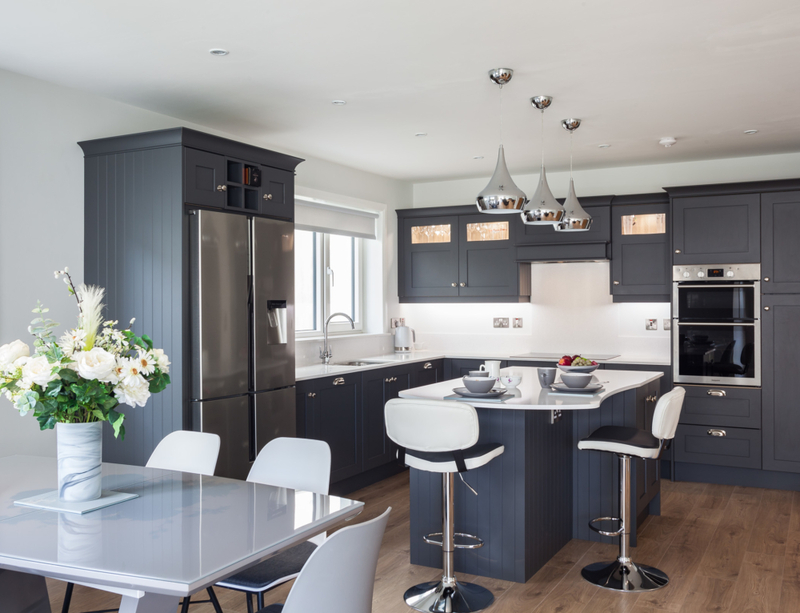 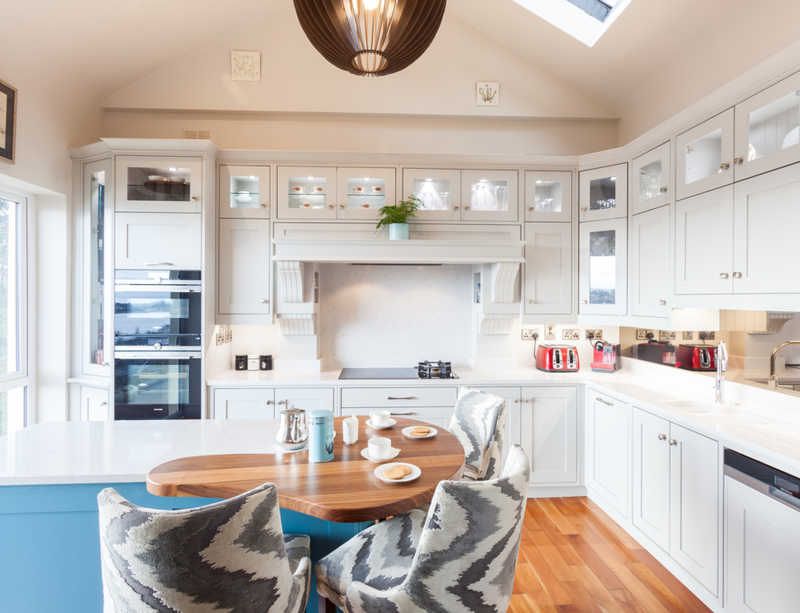 This stunning design from our team here at Celtic Interiors is painted in Pointing and Lamp Room Grey. 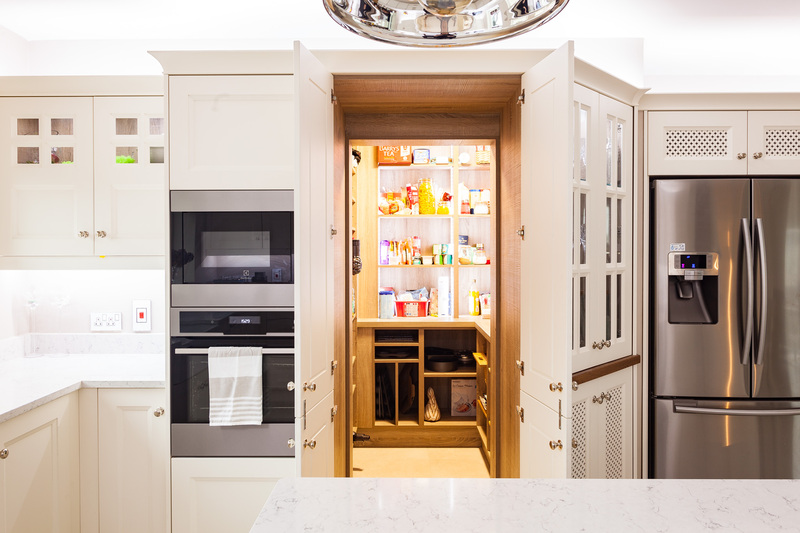 It has a host of eye-catching features, including a breakfast bar, a Belfast sink, and my personal favourite, a beautiful walk-in pantry. 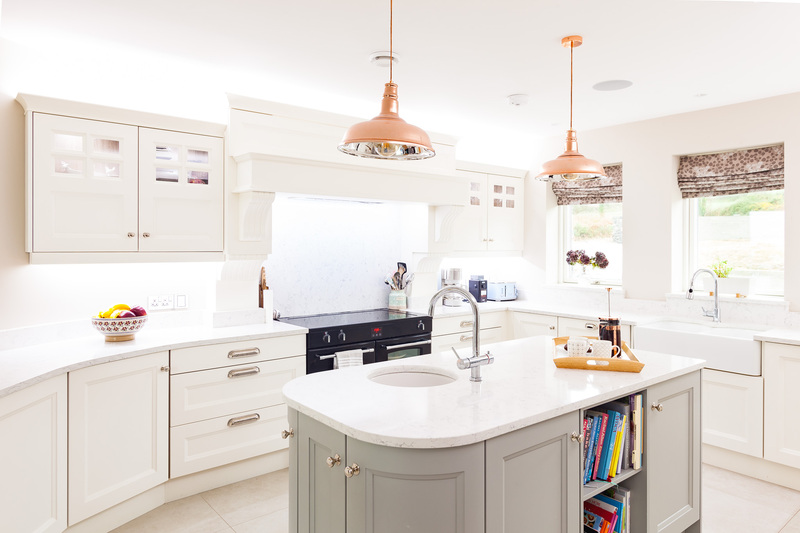 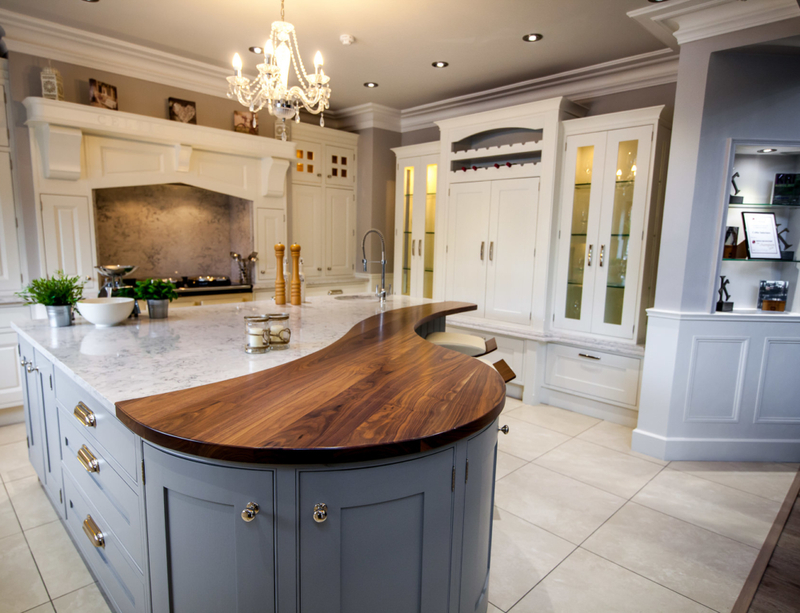 The quartz worktops are White Arabesque.